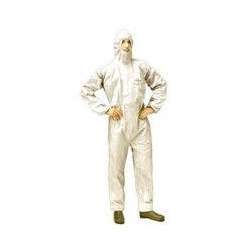 We are a leading Manufacturer of antistatic garments, body protection coverall and heat protective aluminium suit from Gurgaon, India. We offer Antistatic Garments that is manufactured using superior grade fabrics. Our company has been involved in manufacturing a wide range of safety clothing such as Antistatic Garments. We have hired some of the experienced designers who help us in manufacturing and exporting Antistatic Garment. Over the years we have been satisfying our broad clients base manufacturing and exporting Body Protection Coverall. These products are available at market leading prices to our esteemed clients. 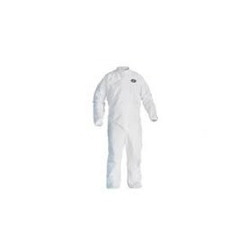 Our Industrial Coverall are designed as per the recommended standards using best quality fabrics. These are durable, light weight and bears perfect stitch and excellent finish. Our company has gained wide spread reputation in the offering Heat Protective Aluminium Suit. 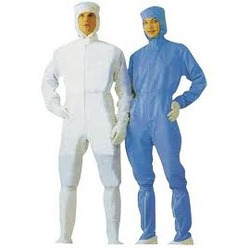 Manufactured using quality aluminium, these suits can withstand extreme heat. These products are reckoned amongst the clients for providing supreme finishing and polishing. These aluminum windows are known for their terrific design and corrosion resistant property.